Tania’s EFT Training Courses are certificated through AAMET International (Association for the Advancement of Meridian Energy Therapies). AAMET International is a professional not for profit organization. It is run by the members, for the members to bring quality and professional standards to the training of EFT and other energy based therapies. The certificates issued by AAMET International are: AAMET Accredited EFT Practitioner and AAMET Accredited EFT Advanced Practitioner. Beyond these two levels practitioner are the trainer levels, which are: AAMET Accredited EFT Master Trainer and AAMET Accredited EFT Master Trainer of Trainers. All AAMET International training courses are structured around a set syllabus. This syllabus was developed from the original guidelines set by Gary Craig the developer of EFT. AAMET is one of the longest established organizations in the world certificating EFT, as such it provides stability beneath the training. Members of the AAMET include many of the original EFT Founding Masters. 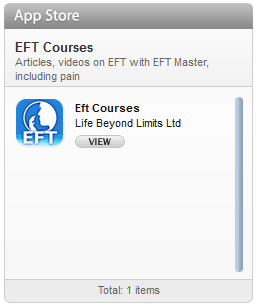 Gary Craig developed an EFT Master program to identify experts in the field of EFT. Founding Masters are those acknowledged by Gary during this program as Masters. 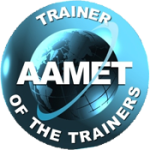 All trainers of the AAMET have extensive experience using EFT. Certified trainers are rigorously evaluated and trained before being given a trainers certificate. 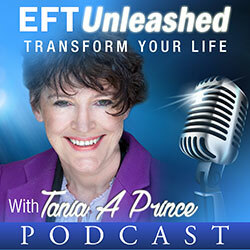 Tania is not only an EFT Founding Master with extensive experience in the field of therapy and training, she is also an AAMET Accredited EFT Trainer and Trainer of Trainers. Each training level has a set of core skills that all trainers cover to satisfy the requirements for that level. Each trainer however brings their own uniqueness to their training depending on their own skills base and experience. As well as being an EFT trainer, Tania is an NLP Trainer and therefore brings key elements from NLP to her courses which enhance students understanding of psychology and how the mind works. The AAMET is continually re accessing its courses with the aim of ensuring they provide the best available training for the students. The AAMET courses are also structured to provide a career path for students. With this in mind they are currently developing a new EFT Master Training program. 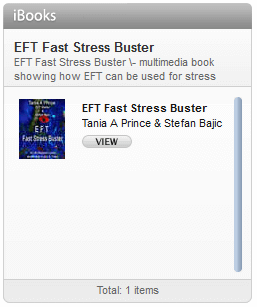 This is different from the original EFT Masters program. At EFT Level 2 training courses students are given an attendance certificate at the completion of the course. To upgrade his to a practitioner certificate students are required to complete post training evaluation. This is currently a multiple choice questionnaire and 4 case histories that show understanding and the ability to apply level 2 techniques, post training practise of 50 sessions and attendance at EFT supervision. Once a student has satisfactorily completed the requirements set by AAMET, they are given the AAMET Accredited EFT Practitioner status. Level 3 requires 4 case histories that demonstrate competency in the techniques taught on the level 3 training. They also have to be in supervision or have attended supervision within the twelve months prior to applying for EFT Advanced Practitioner status. 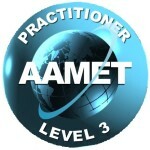 Once these conditions have been completed the AAMET Accredited EFT Advanced Practitioner status is issued. Currently the assessment is done by the trainer. Once this has been done successfully, students can apply to the AAMET to become a Practitioner member.